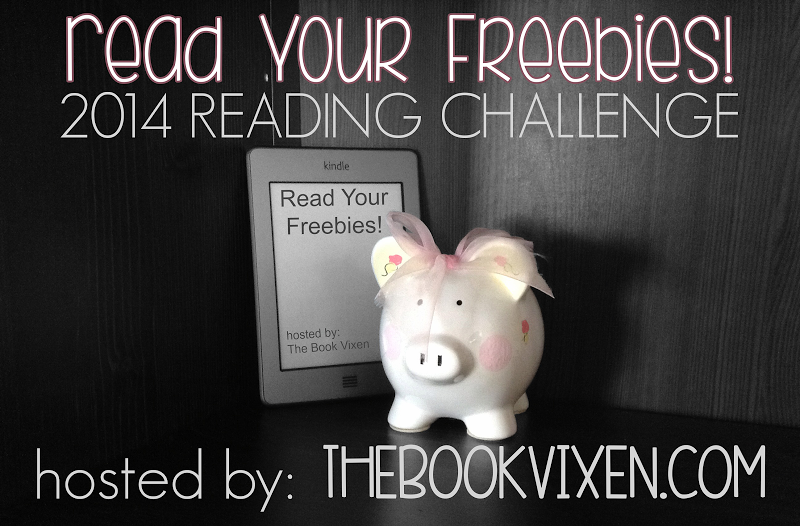 Please visit The Book Vixen for full rules, details and sign up. I mound freebies on my kindle at an alarming rate.... so much so that I wonder now how many more I can add before it says it is full. I best get on reading them is my thinking, and then this challenge comes along that is meant for me! This level works best for me, being my first attempt at this challenge and all. Sounds very interesting, I wish you much luck and enjoy it! You and me both, Freda. Good luck with this challenge. I'm not brave enough to add a third one to my list for this year. Kudos for completing the challenge! You'll have to up the ante next year ;) Thanks for participating!